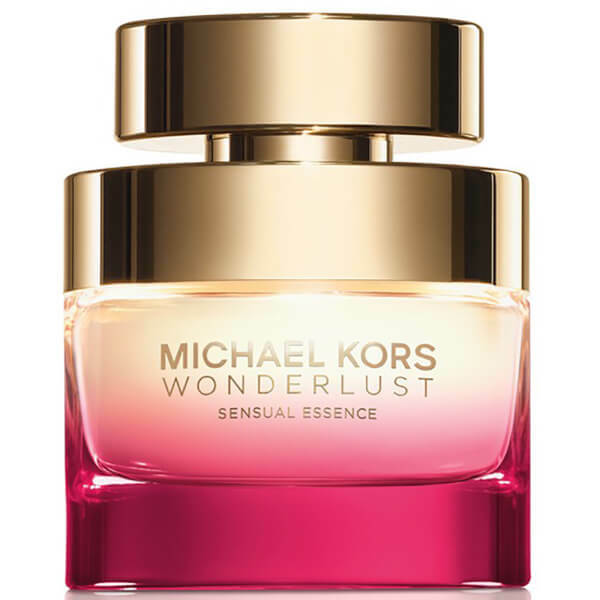 Experience the alluring scent of Michael Kors Wonderlust Sensual Essence Eau de Parfum; a deeper interpretation of the Original Wonderlust fragrance. Opening with bold notes of Pink Pepper, juicy Pear and Sour Cherry, the perfume is joined by a floral bouquet of Peony, Jasmine and Orange Blossom, before settling on a warm, oriental base of sensuous Amber, Suede and Cashmere Wood. Housed in a luxurious pink and gold glass bottle. Top Notes: Pink Pepper, Pear, Sour Cherry. Heart Notes: Peony, Jasmine, Orange Blossom. Base Notes: Amber, Cashmere Wood, Suede.